Electrical Engineering and Electronics is a fast-growing sector due to digitization and miniaturization. It is the second-largest sector of the Czech economy with a more than 13% share in overall manufacturing output. Over 15,000 companies employ nearly 150,000 workers with various skills. Turnover reached USD 27.2 billion in 2016. R&D centers dealing with electrical engineering and electronics are gaining importance and form a foundation for high added value in the future. 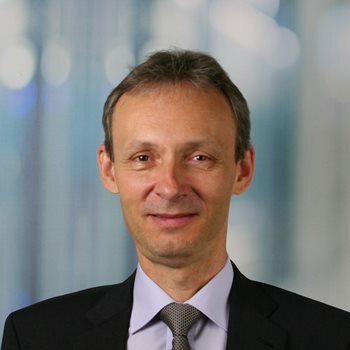 The consumer electronics segment is represented by Panasonic, the largest flat-panel television manufacturer in the Czech Republic, which produces state-of-the-art TV receivers enabling not only traditional means of the media consumption, but also consumption of on-demand services. Tymphany is the global leader in the design and manufacture of audio systems, producing unique audio products and operating a research and development division in the Ostrava region. Other companies, such as ABB and ON Semiconductor, offer good examples of how local know-how in specific fields can be utilised in high-tech manufacturing and R&D activities. 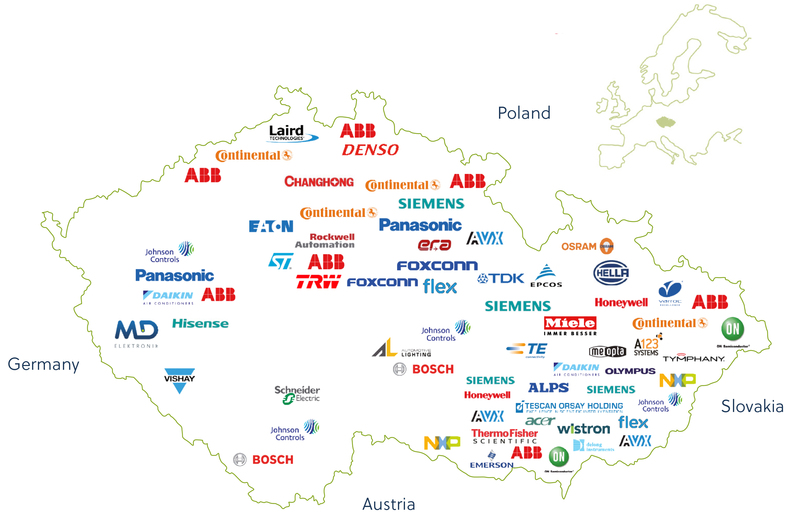 The automotive electronics subsector includes companies such as Siemens, Bosch, Daikin, Continental, TE Connectivity and Kostal that heavily utilize their proximity to car manufacturing facilities in the Czech Republic and well-educated and cost-effective local engineers. The Brno-based companies Termo Fisher Scientific, Tescan Orsay Holding and Delong Instruments are examples of top companies in the field of cutting-edge electron microscopy and conduct research and development activities with global impact.